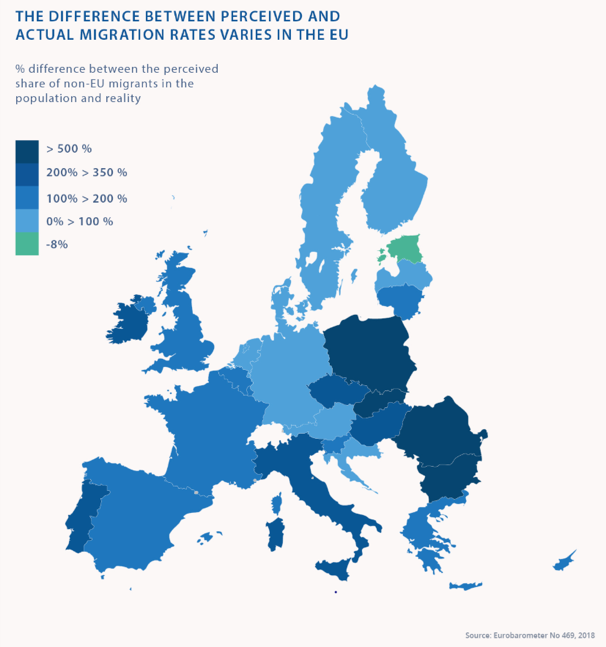 On the other hand, the table above shows that among the countries where the gap between experienced and felt immigration to the European Union is wider, and more particularly in Eastern Europe, many of them have higher emigration than immigration, i.e. 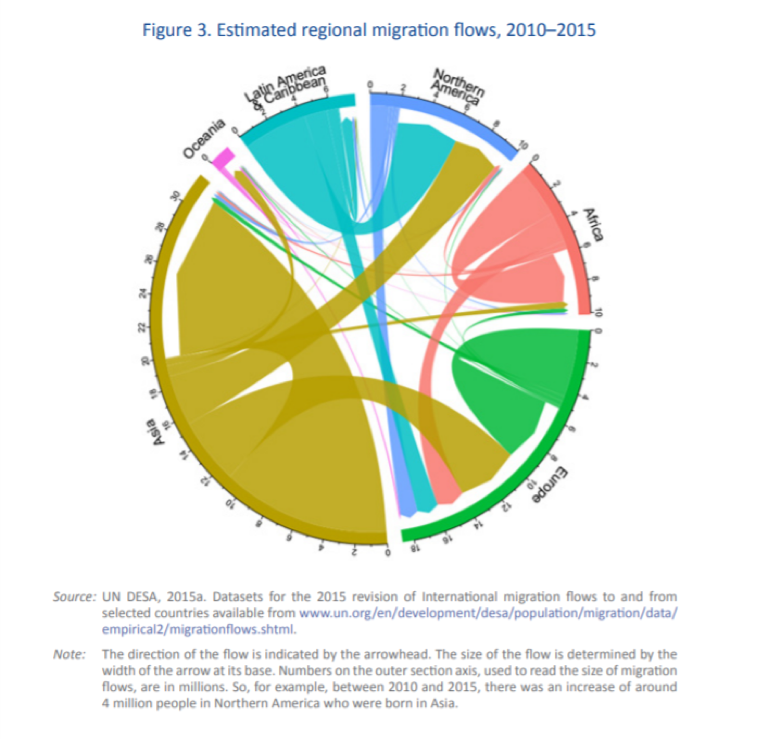 the outflow of migrants is higher than the inflow. 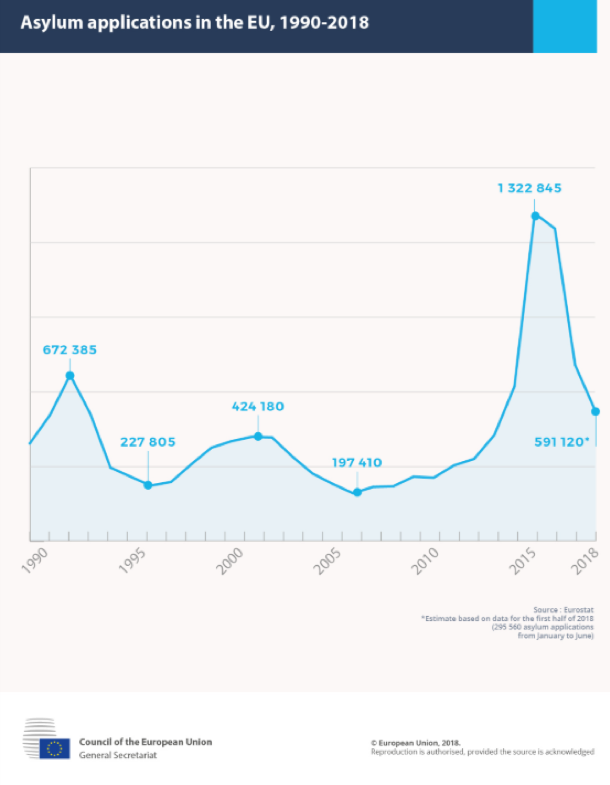 We can thus comfortably argue that while global migration has grown significantly in recent years with a peak in 2015, it has gradually and continuously declined since then. Moreover, Europe has been relatively spared by the masses of migrants who are unfortunately generally forced to emigrate locally or regionally, often in harsh and degrading conditions. Migreurop, Atlas des Migrants en Europe – Approches critiques des politiques migratoires, Armand Colin, Paris, 2017. 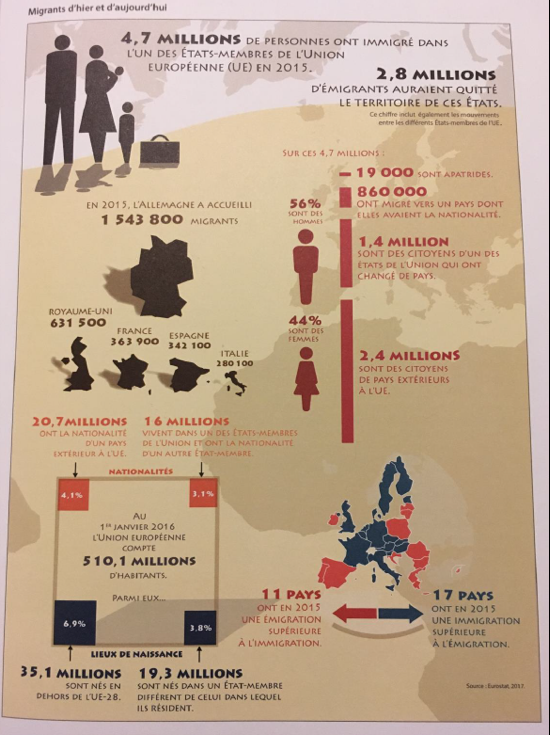 Ligue des droits de l’Homme – Commission Etrangers, Décembre 2018, p. 2. Which was an exceptional year in terms of global migration flows.